Amazon’s decision to ship the Kindle Fire HD with a locked bootloader has done little to stop the hacking community from gaining full access to the device. The company’s new flagship tablet has been rooted less than a week after it first hit the streets. Full instructions on how to perform the task are already online although as always, there are some risks involved. Those responsible for the hack are using a method that’s worked for other Ice Cream Sandwich devices, including Asus’ Transformer Prime. Android Police says the hack has been tested on the Kindle Fire HD 7-inch but should work for all other variants based on ICS. The hack will allow you to access the Google Play store (among other things), opening the device up to a wealth of additional apps not found in the Amazon AppStore. But with the reward comes the usual risks such as voiding your warranty, possibly bricking the tablet and making it more vulnerable to malware. 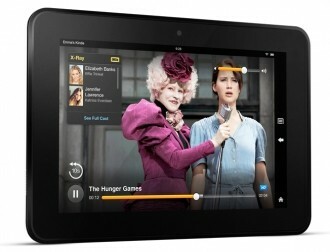 It’s likely that Amazon will attempt to patch the exploit as they did with the original Kindle Fire. This of course kicked off a game of cat and mouse with developers and hackers that lasted for quite some time. You’ll first need to download and install the Android SDK before proceeding. From here, you’ll want to head over to Android Police for a full list of instructions. The entire process looks pretty simple, only requiring a small series of commands to enable root access.